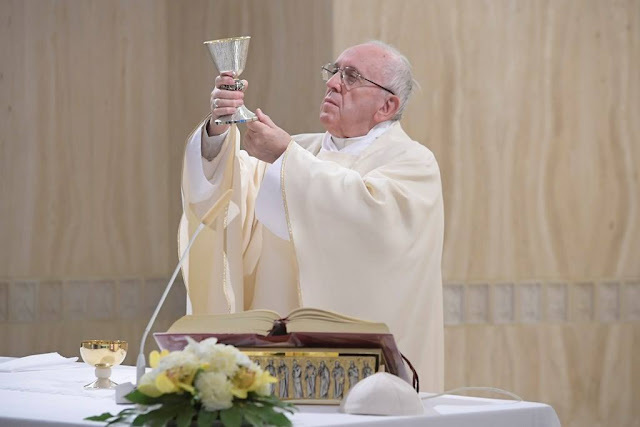 Pope Francis emphasizes three elements: a man in need, a friend, a little bread. It is a surprise visit from the needy friend and his is an insistent request because he has confidence in the friend who has what he needs. The Lord wants to teach us how to pray: said Pope Francis, wants us to pray with "intrusiveness". Please be bold, because when we pray we usually have a need. The friend is God: he is a rich friend who has bread, he has what we need. As Jesus said: "In prayer be intrusive. Do not get tired ". But do not get tired of what? Of asking. “Ask and it will be given to you”. But, the Pope continued, "prayer is not like a magic wand", it is not that as soon as we ask, we obtain. It is not a matter of saying two "Our Fathers" and then leaving it at that :Prayer requires effort: it asks us for will, it asks for constancy, it asks us to be determined, without shame. Why? Because I'm knocking on my friend's door. God is a friend, and with a friend I can do this. A constant, intrusive prayer. Think of Saint Monica, for example, how many years she prayed like this, even with tears, for the conversion of her son. The Lord eventually opened the door. Pope Francis then provided another example, recounting a real life story that happened in Buenos Aires: a man, a worker, had a daughter who was dying, the doctors had given up hope and he traveled 70 kilometers to go up to the Shrine of Our Lady of Luján. It was night time and the sanctuary was closed, but he prayed all night long imploring Our Lady: "I want my daughter, I want my daughter, you can give her to me." And when morning came he returned to the hospital he found his wife who told him: "You know, the doctors took her to do another test, they cannot explain why she woke up and asked for food, there's nothing wrong, she's fine, she's out of danger" This man, Pope Francis concluded, knew how to pray. The Pope invited those gathered to think about capricious children when they want something, they cry and cry saying: "I want it! I want it! "And eventually the parents give up. But some may ask: will not God be angry if I do so? It is Jesus himself, said the Pope, who, in anticipating this, told us: If you then, who are evil, know how to give good gifts to your children, how much more will the heavenly Father give the Holy Spirit to those who ask him!” He is a friend: he always gives good things. He gives more: I ask you to solve this problem and he solves it and also gives you the Holy Spirit. More. Let's think a little: how do you pray? Like a parrot? Do I really pray with a need in my heart? Struggle with God in prayer in order that he gives me what I need if it is right? We learn from this passage of the Gospel how to pray.